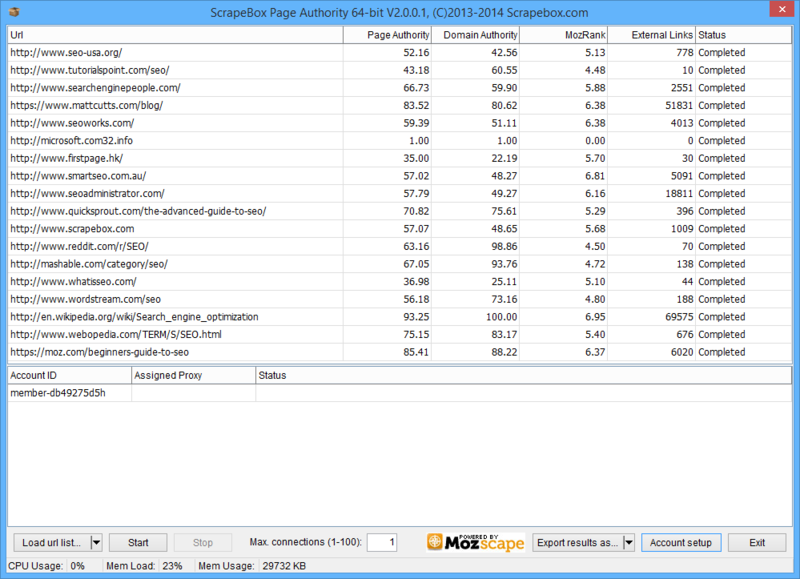 The ScrapeBox Page Authority Addon allows you to bulk check various SEO metrics which are all provided by the Moz.com Mozscape API. The metrics provided for each URL include Page Authority, Domain Authority, MozRank and the External Links count. Page Authority: This is based on a 100 point logarithmic scale with 100 being the highest, and is an indicator on how well an individual page is likely to rank without factoring the content displayed on the page. Domain Authority: Similar to Page Authority, this metric is also based on a 100 point logarithmic scale with 100 being the highest however it measures the strength of an entire domain rather than a single page. .
MozRank: This is a score from 1 to 10 which measures the link popularity of a given URL (similar to Google’s PageRank), however MozRank is regarded by many as more accurate and up to date than Google’s own metric. External Links: This is a backlink count, which shows the amount of links pointing to the URL you are checking. To use this addon you will need to register for a free or paid Mozscape API key to add to the account setup in the addon. URL’s to check can be loaded in to the addon from a text file, or transferred automatically from ScrapeBox. Once checking is complete all data can be exported to a .csv file. View our video tutorial showing the Page Authority in action. This is a free addon included with ScrapeBox, and is also compatible with our Automator Plugin.